The sale grossed $385,000, with an average price of $273.45/ct. The tender included the sale of one gem quality rough diamond in the "specials" category, weighing 11.57 ct.
An additional ~1,858.92 carats of rough diamonds were also delivered toward the end of January 2019, which included a gem quality 44.09 carat rough diamond, and a low quality 37.0 carat rough diamond. 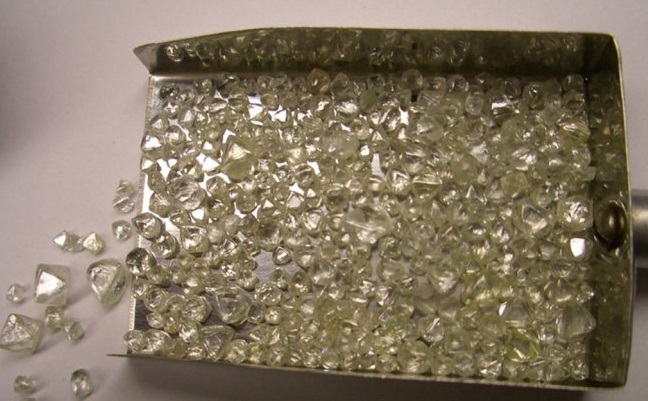 These diamonds will be sold in a tender planned for later this month. "We are pleased with the results of this tender and the sale price realized," commented Diamcor CEO Dean Taylor. "We are equally pleased with the recovery of the 44.09 and 37.0 ct. rough diamonds which we believe is attributable to the additional crushing modifications recently completed…,” Taylor added.